I don’t normally sew with stretch fabric or with organza so this was slightly out of my comfort zone. 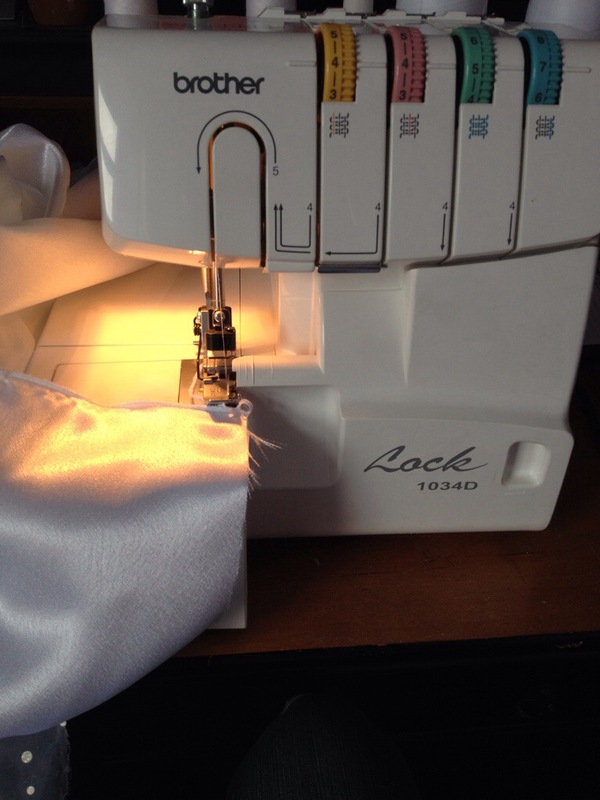 I re-acquainted myself with the stretch stitches on my trusty machine and dug my overlocker out of its box. If I’m honest I really like the way these dresses have turned out. I always feel under pressure when I sew for other people and never truly relax even after they are finished in case the recipients are not happy with it. 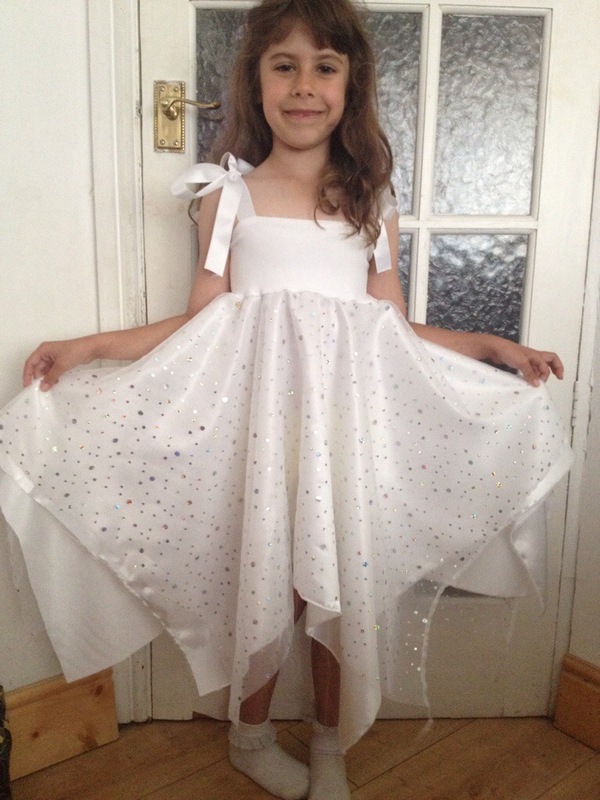 This entry was posted in Family, make it monday, making what you need, Sewing and tagged dance show, family, made it monday, snowflakes by mehubbyandthekids. Bookmark the permalink. Wow have you?? Bet you’ve made some costumes then! My Son was in the Lion King and my daughter in Jungle a Book for their Yr 6 productions and I made almost all of the costumes. Luckily they didn’t want anything too complicated and I had the time and imagination! Wish I had some decent pictures. My son played Zazu and I really enjoyed making his costume including a baseball cap with a long beak!